Give everything a nice stir with a rubber spatula. Cover the slow cooker and cook on low heat for 8 hours. Just before you are about to serve, add 1/4 milk and stir the oatmeal. Add a little more milk if you'd like a thinner consistency. To make the cream cheese frosting drizzle, combine the cream cheese, confectioner's sugar, milk, vanilla and salt in a medium bowl. Beat until a uniform thick glaze is created. Add additional milk 1 teaspoon at a time until the frosting drizzles thickly off of the beater. 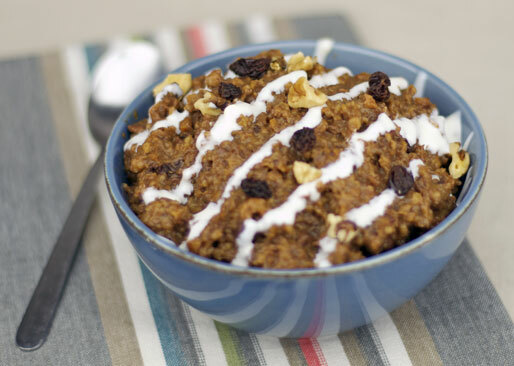 Transfer the oatmeal to bowls and drizzle each serving with some cream cheese frosting. 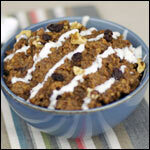 If desired, garnish with additional raisins and chopped nuts. 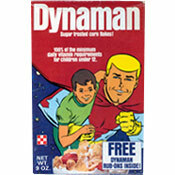 All the flavor of carrot cake in a warm bowl of steel cut oatmeal. Includes recipe for a cream cheese frosting drizzle to make the illusion complete. 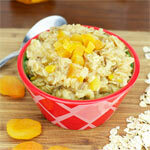 What do you think of Crockpot Carrot Cake Oatmeal? If I was to use quick oats in place of the steel cut and cook on a stove top how much quick oats should I use? Absolutely amazing. Followed the exact recipe with the exception of using milk instead of water and half and half for the milk. Definitely a keeper. Once you get all your ingredients together, it was super easy... but wow, that was a lot of ingredients. It did taste a lot like carrot cake. Best part was the drizzle. Cooking time for me - 6 hours. Delicious! !